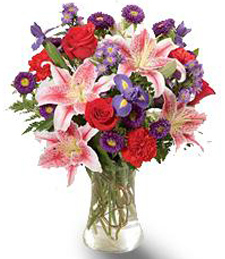 Ponder on the good times and the bad, the ups and the downs for at the end of the day they might say It�s a Wonderful Life! 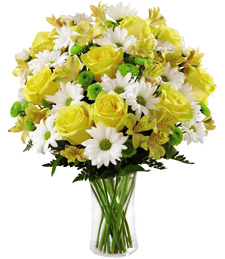 Yellow symbolizes peace and happiness. 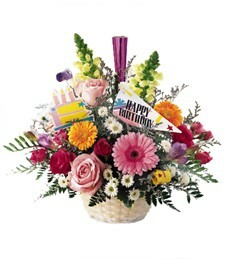 Make them remember all the good times with cheerful laughs and memorable smiles! 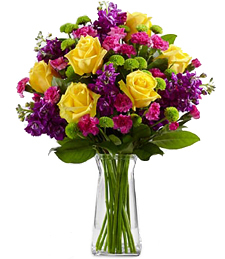 A captivating kaleidoscope of color, this vibrant assortment of fresh flowers brims with haute hues and stunningly sweet scents! 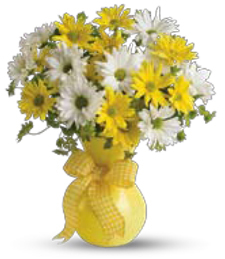 Sure to light up any room, this array of blooms makes a delightfully smile-inducing get well gift for a friend or loved one on the mend! 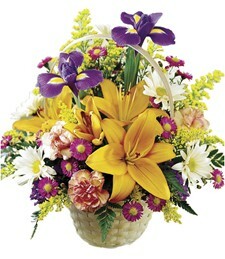 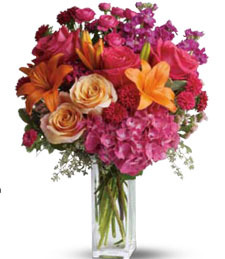 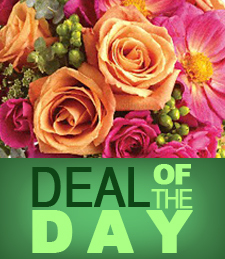 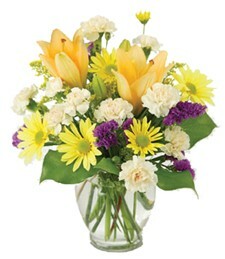 When a friend or loved one needs a pick-me-up, brighten their day with this vibrant array of colorful, fresh flowers! 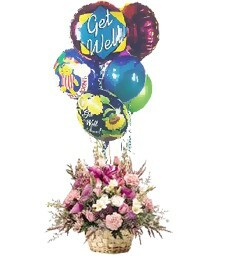 And make sure your message is heard with this cheerful Get Well Soon mylar balloon! 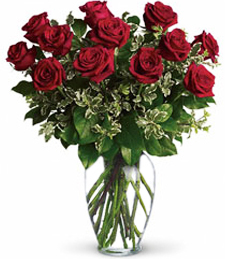 What a perfect way to put some pep back in their step! 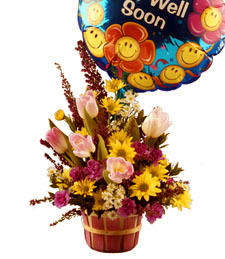 When a special gal in your life is struggling down Recovery Road, send her a rejuvenating alternative to chicken soup with this charming vase, brimming with gorgeous pink flowers, and adorned with an assortment of colorful get well balloons. 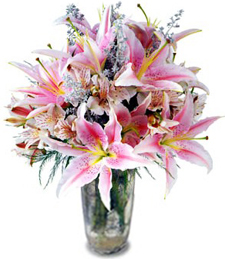 The softness of pink lilies set around an assortment of fresh, white flowers, is truly an ode to Nature's beauty and bounty. 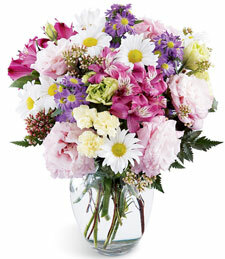 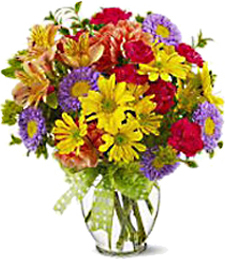 Show someone you care as they trek down the road to recovery with this delicate yet vibrant bouquet of blooms. 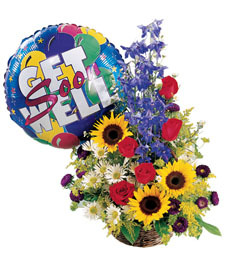 The road to recovery can be bumpy and obstacle-ridden, so send flowers to a sick friend or loved one to help make their path more scenic. 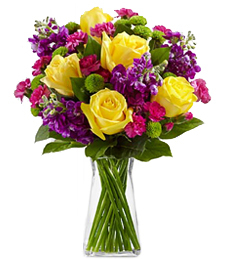 This gorgeous medley of pinks, purples, yellows and blues is just what the doctor ordered to get them back on their feet in no time. 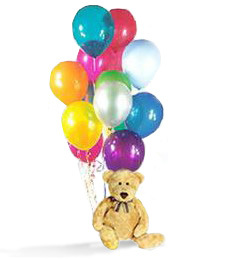 One dozen delightfully bright and vibrant balloons burst with cheer while a huggable loveable teddy bear adds a touch of adorable cuteness to this arrangement - a truly memorable get well gift! 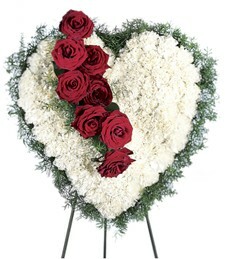 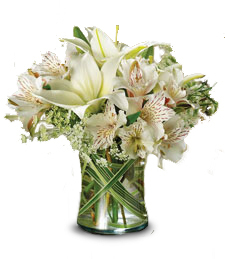 A splendidly pure and stunning arrangement of all white bursts with floral beauty and sweet scents. 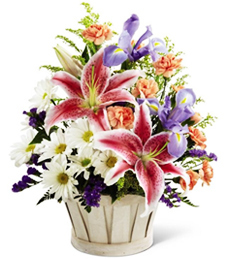 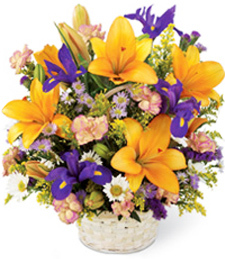 Assorted lilies and other fresh flowers create a gorgeous medley of fragrant blooms, making this an ideal way to express your warm well wishes!